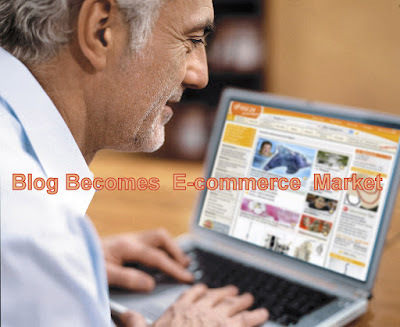 You will feel wonder that now blogs are becoming e-commerce market . Pro-blogger digital photography blog and other many blogs are the main example of this . In blogging area you can use all advance web-designing tool , like html editing , XML editing , using of web components . With google docs , you can make database of your customers on your blog . If you want to sell your own products on your blogs . You can do it . Just for past donation box of Pay pal and convert donation word into purchase price word and make the list of prices of your product . After this you can contact with your customers and complete the dealing of purchasing by your customers . Main benefits of this blog market is that there is no need for getting any traffic because , if you are writing on your niche subject , your customer automatically meets you in your blog . This is the main reason that all e-commerce sites are also making their blogging for getting traffic for e-commerce site . More over more than 70% blogs are promoting e-commerce site by google AdSense program. So , from today , start your own blog and take challenge of e-commerce through blogging .